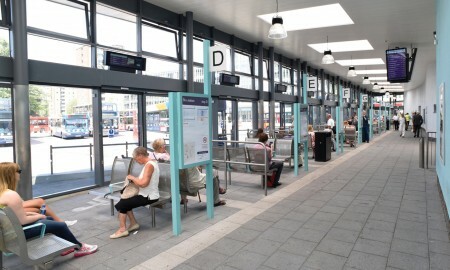 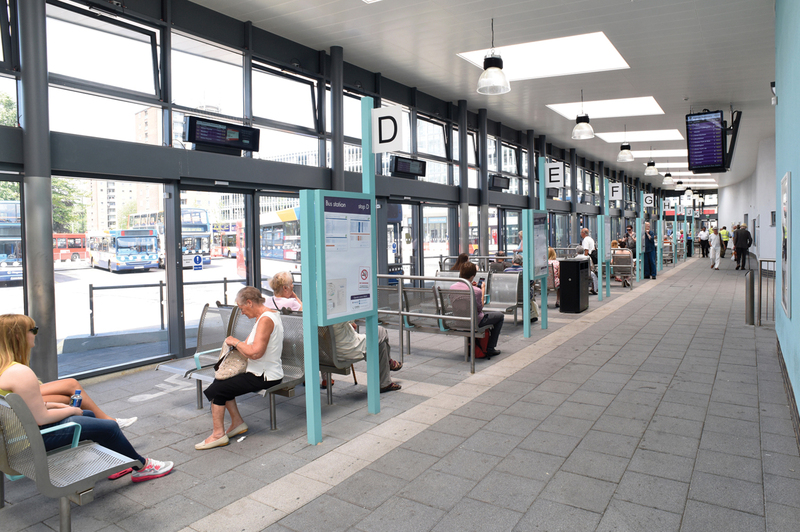 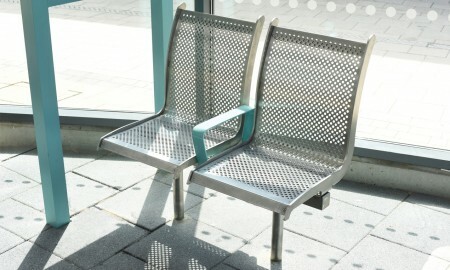 Broxap created these bespoke versions of the Ilford Seat to suit the interior of the new Bedford Bus Station. 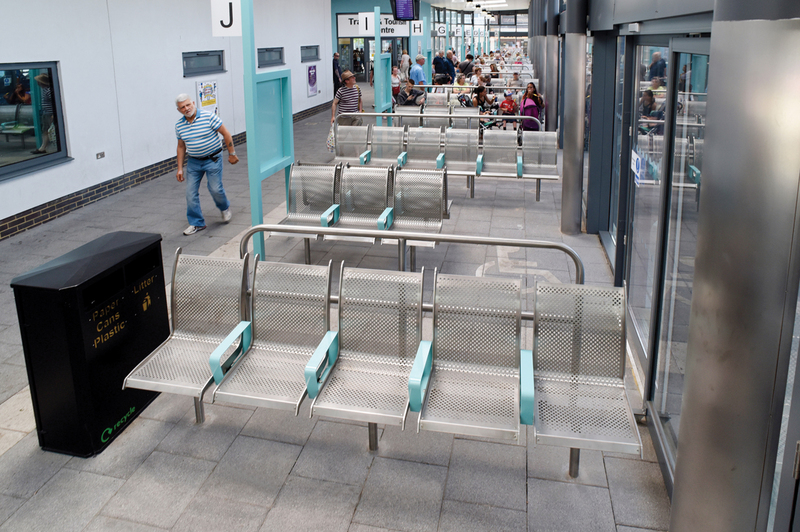 The seats were created to fall in line with the facility of wheelchair and disabled users, giving them access past the sets of seats housed within the new terminal building. 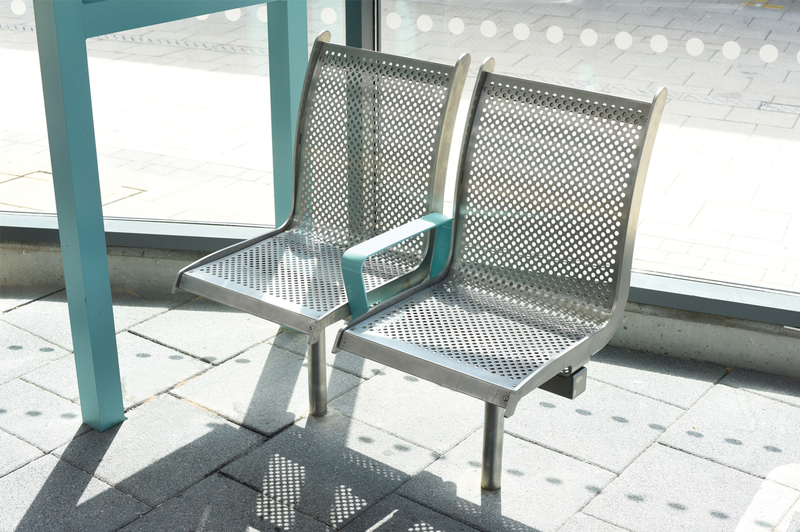 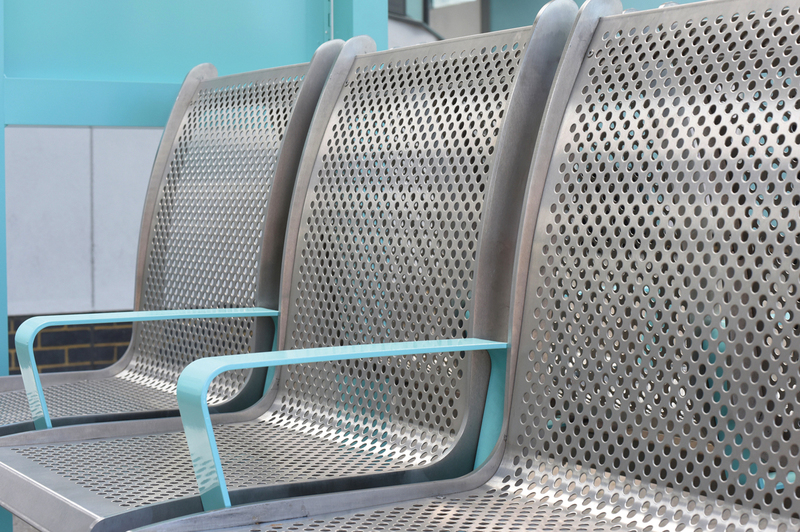 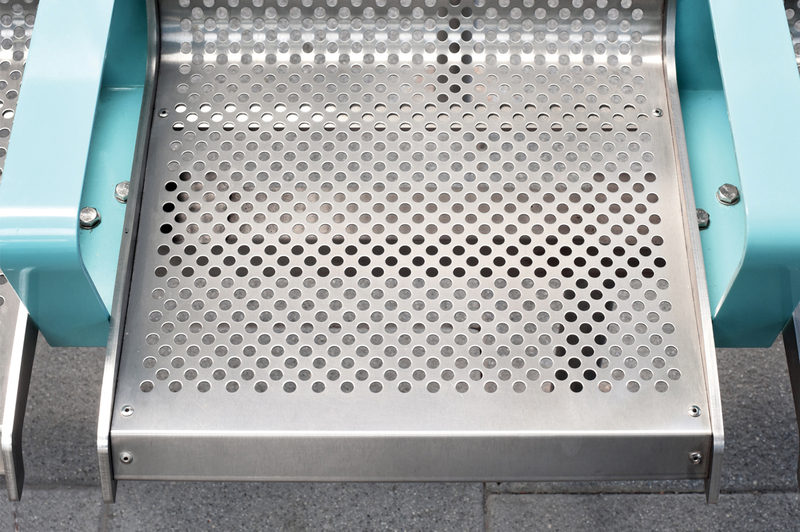 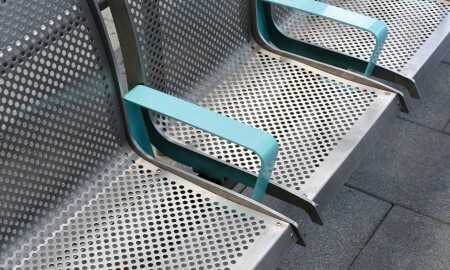 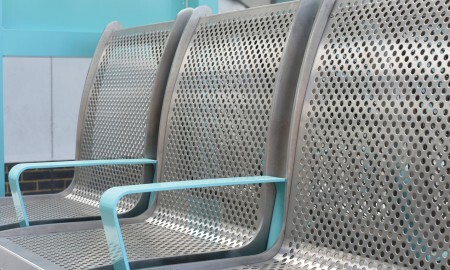 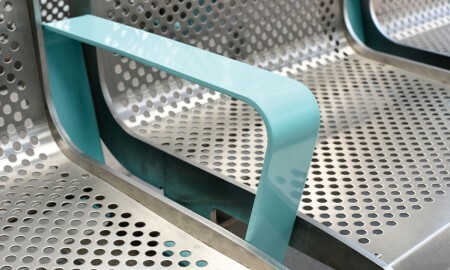 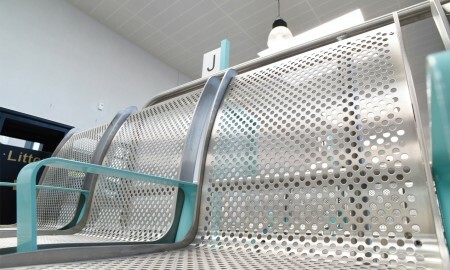 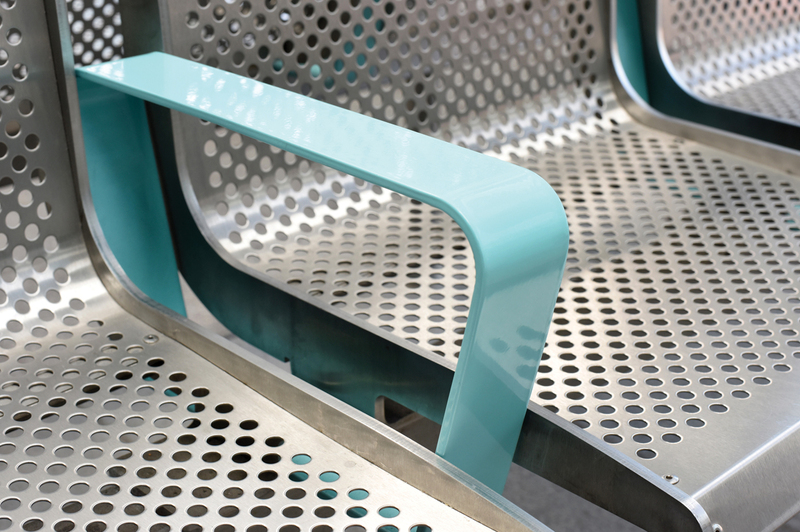 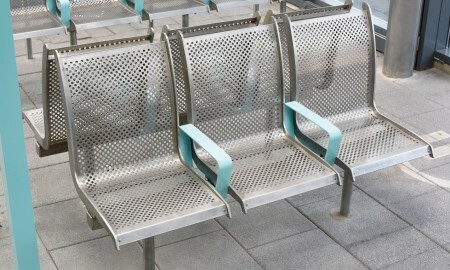 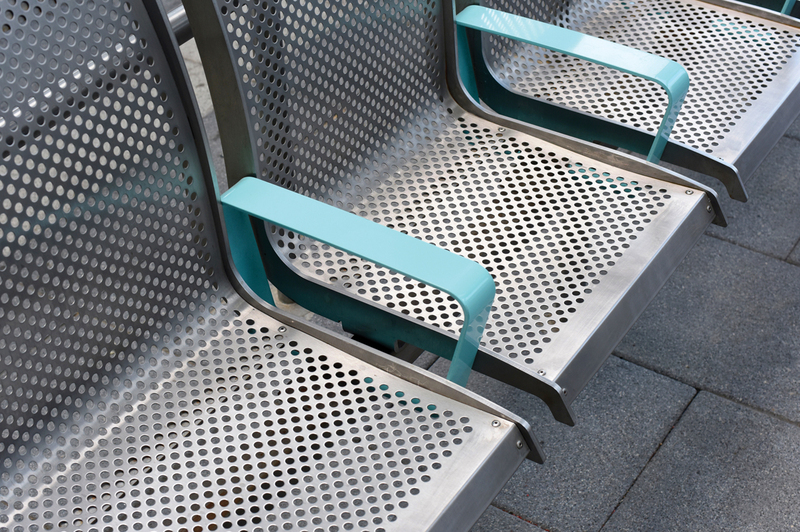 Arm rests were colour co-ordinated to match the new stations ‘Turkish Green’ colour scheme whilst the stainless steel perforated nature of the seat and backrests ensure a vandal resistant yet comfortable long lasting seat. 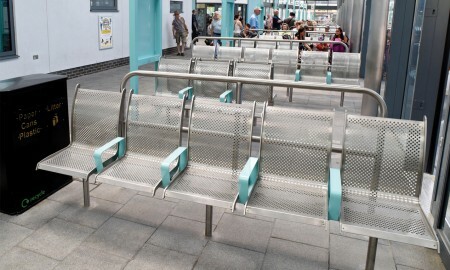 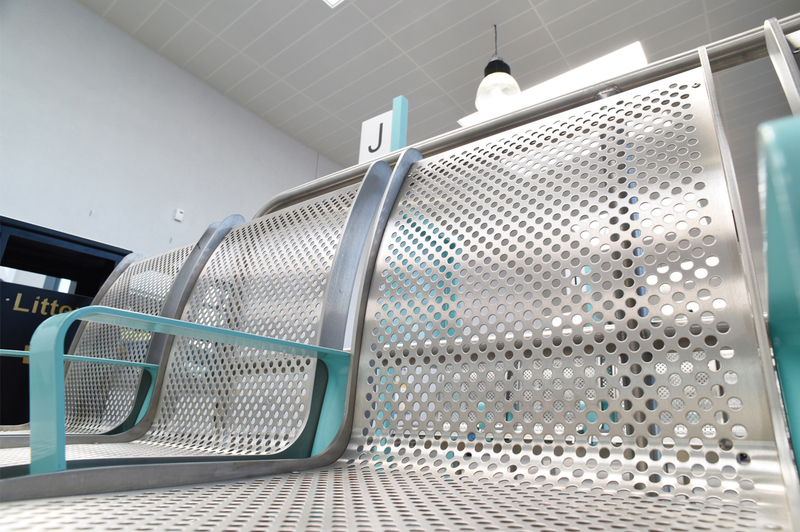 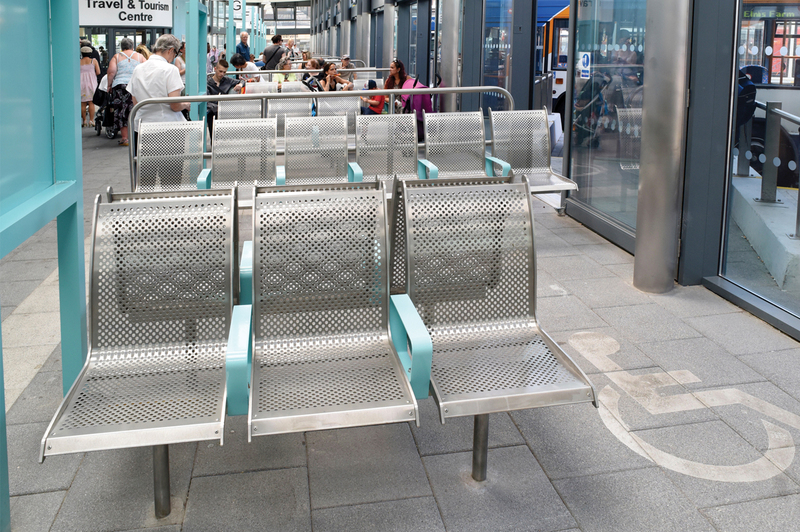 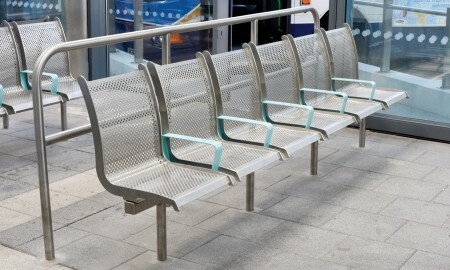 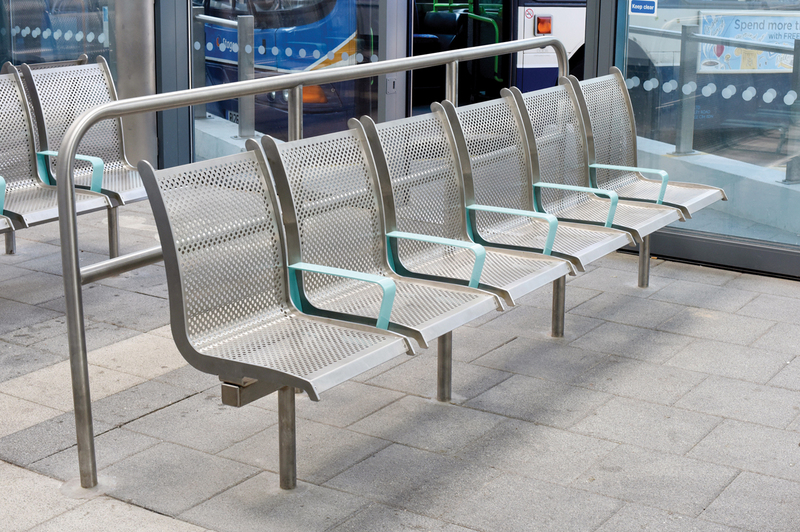 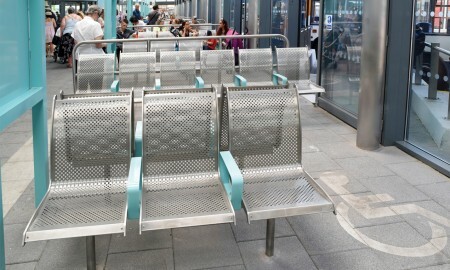 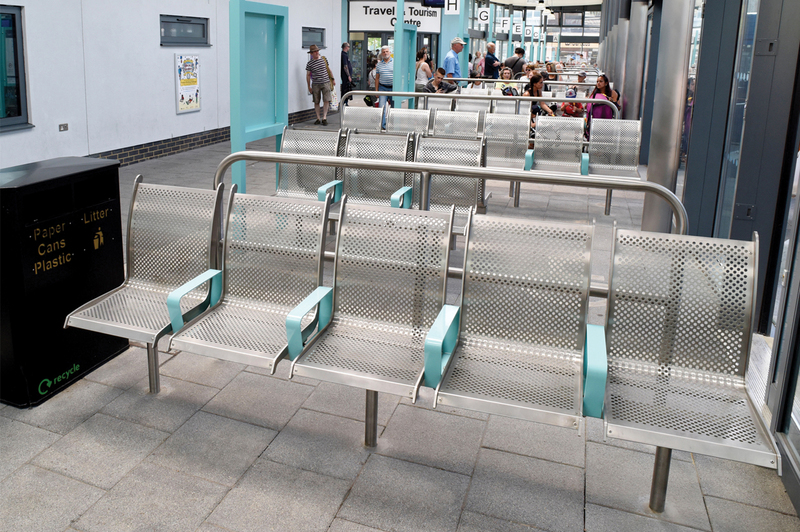 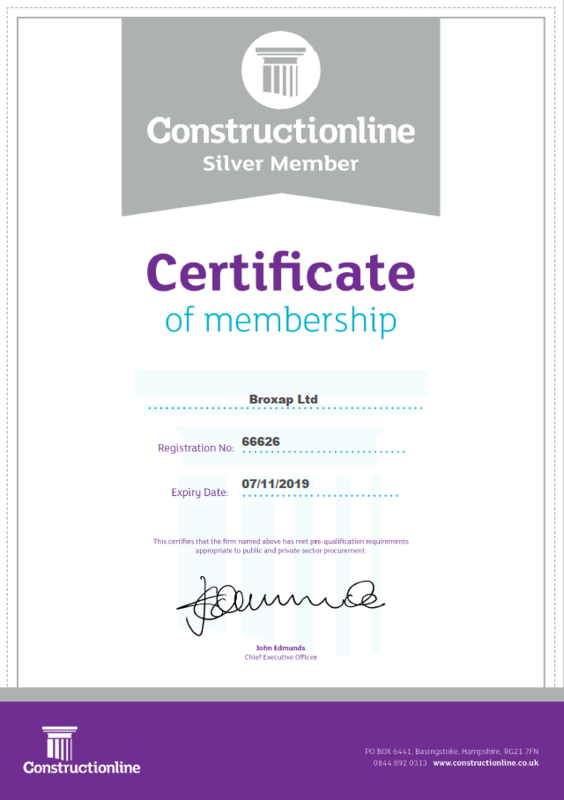 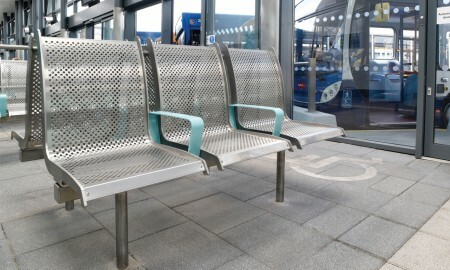 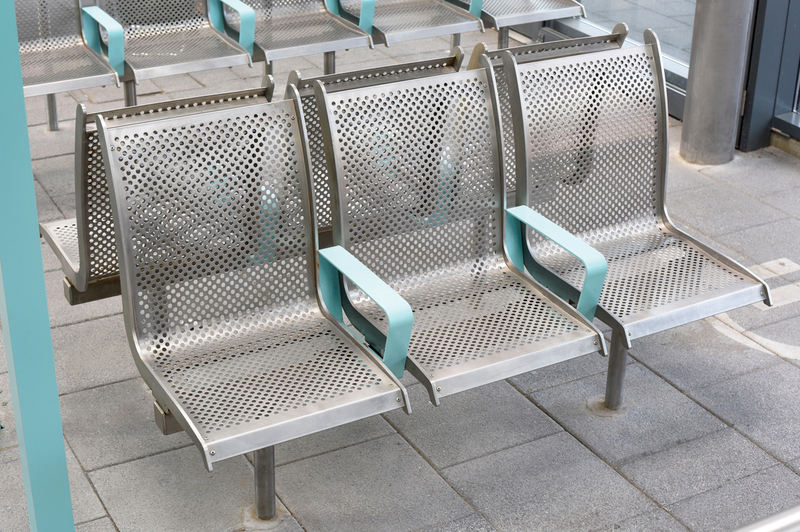 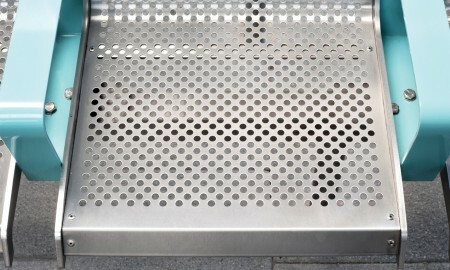 To coincide with this seating arrangement Broxap also provided a series of stainless steel doorway barrier/rails to the seating area, these providing assistance to travellers entering or leaving the new station. 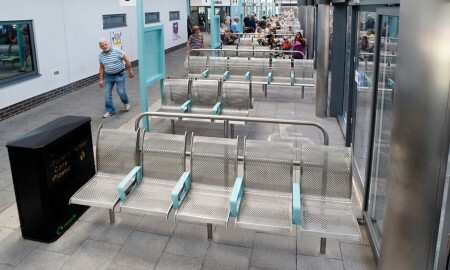 Litter and recyclable objects can be deposited into the series of Derby Slimline dual waste litter/recycling units provided by Broxap throughout the internal and external areas of the station, these have a dual depositing facility to take both litter and recyclables whilst keeping the contents separate inside for easier emptying. 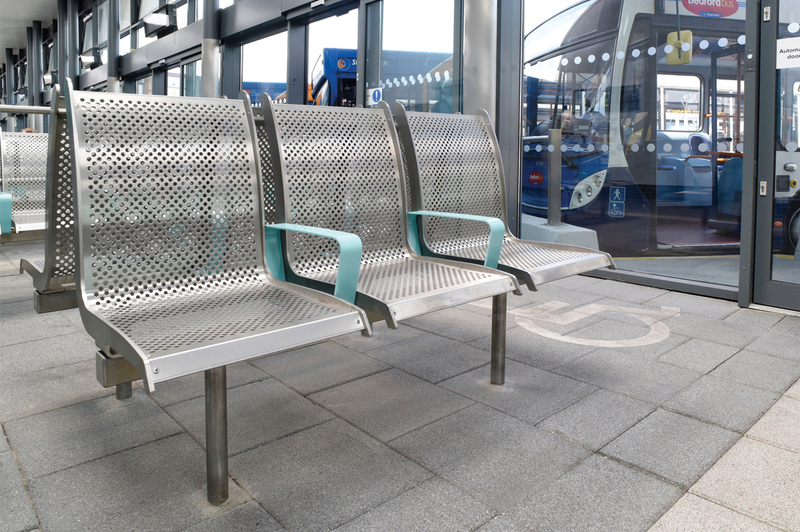 The whole finish gives a user friendly and contemporary seating area to complement the new bus station.